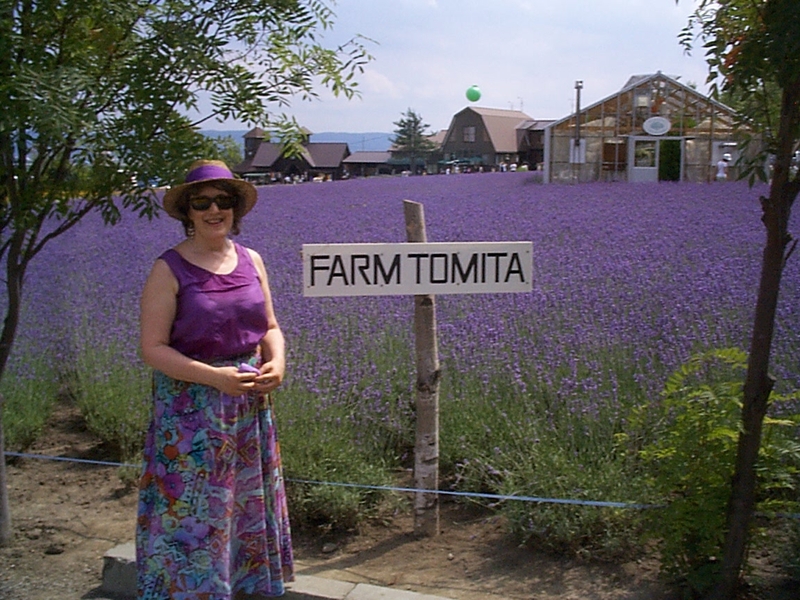 One of the popular tourist attractions in Furano is Farm Tomita. 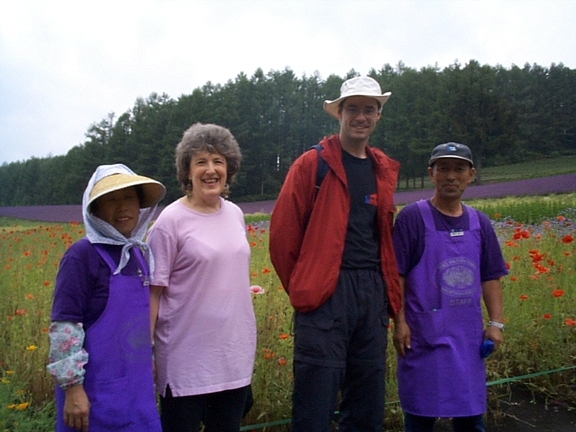 The workers on the farm all had colorful purple aprons. 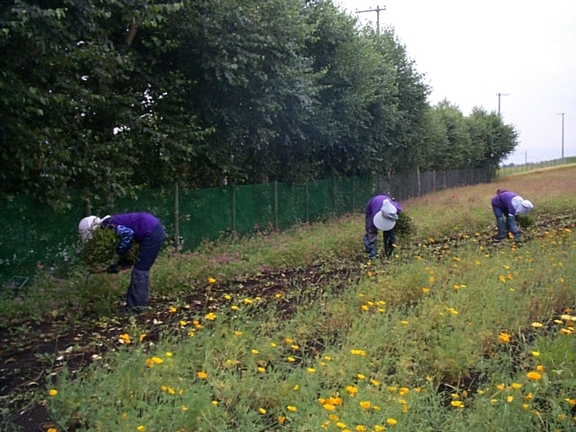 They were harvesting mint when we visited on July 16th. 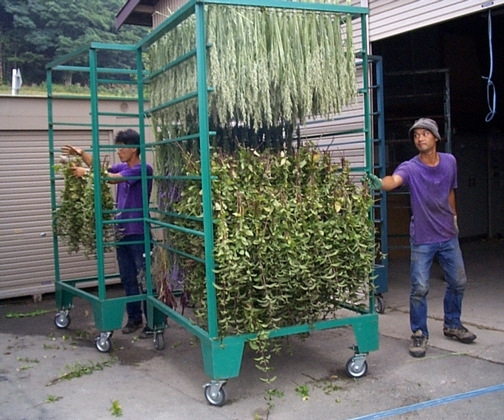 The area around the drying machine for mint had an especially fragrant smell. 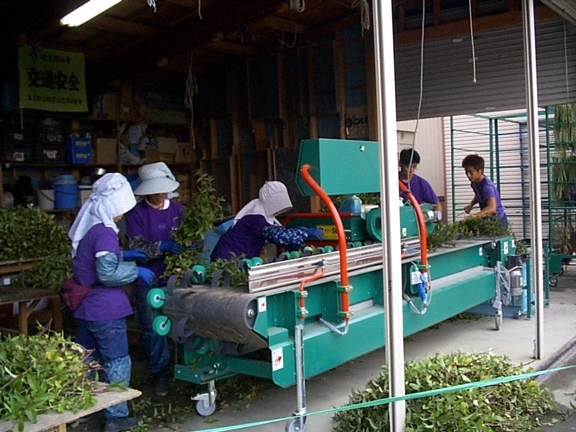 The workers cart the dried mint away to bundle and sell.